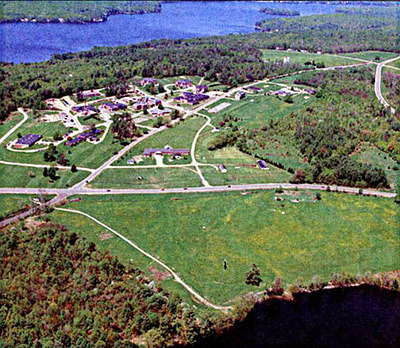 Residential development offers “the greatest market potential” and appears “the most feasible” scenario for redeveloping the site of the former Laconia State School, according to Camoin Associates of Saratoga Springs, N.Y., the consultants engaged by the Lakeshore Redevelopment Planning Commission to sketch the future of the property. The commission, chaired by George Bald, former commissioner of the Department of Resources and Economic Development and a former chair of the Pease Development Authority, was formed by the Legislature last year at the initiative of Senate President Chuck Morse, R-Salem, after repeated efforts by the state to sell the property on the open market failed to attract a single offer. The Legislature charged the commission with identifying alternative scenarios for redeveloping the property and, once an option is chosen, overseeing the development of a master plan to pursue the project. At a hearing in June to unveil the plan, Rachel Selsky of Camoin presented three scenarios, each with a different theme but all including housing. Along with the heavily weighted residential scenario, she outlined two mixed-use concepts, one featuring a resort and another a sports complex, both of which include residential components. The project would be undertaken in phases, and all scenarios set aside land for future development, allowing for elements to be added either in the later phases or after completion. There are 31 buildings on the site, including dormitories, classrooms, offices, garages and sheds for pigs and poultry, built between 1905 and 1975, half described as in good condition and half in varying need of repair. A preliminary environmental assessment found there are a number of environmental hazards on the property — both in the buildings and on the grounds — which the Department of Environmental Services estimates will cost more than $600,000 to thoroughly assess and between $2 million and $3 million to remediate. The scenarios, Selsky explained, are based on an analysis of the regional economy and property market, finding that the strongest current and projected demand is for housing of different types and prices. The residential scenario includes as many as 540 housing units, divided among 100 to 200 market-rate apartments, 100 to 200 workforce housing units, 50 to 100 age-restricted units for those 55 and over and 20 to 40 townhouses, half described as affordable. Selsky explained that workforce housing was not subsidized housing but instead referred to homes or apartments priced within the means of those earning between 80 percent and 120 percent of the median income in the region. While heavily weighted toward residential development, the scenario also includes hospitality and commercial uses. The market analysis suggested potential for the development of hospitality, athletic, recreational and entertainment facilities at the site, all of which complement the robust tourist industry in the region. The resort scenario includes a hotel with between 125 and 175 rooms, between 7,000 and 10,000 square feet of conference space and a restaurant seating between 100 and 150 patrons. The sports complex, covering between 30 and 50 acres of the site with an indoor event space and a 100- to 150-seat restaurant. Both scenarios would include market-rate apartments while the resort scenario would also feature “high-end” condominiums and age-restricted housing. Meanwhile, there is insufficient demand to support development of industrial, office or retail space on the site. With manufacturing and warehousing projected to add less than 200 jobs in the region during the next decade, excess industrial and commercial space, including buildings and lots in the O’Shea Industrial Park and Lakes Business Park in Laconia, will overhang the market. Although demand for office space is projected to rise, the pace of economic activity in the Lakes Region is unlikely to strain the existing inventory. 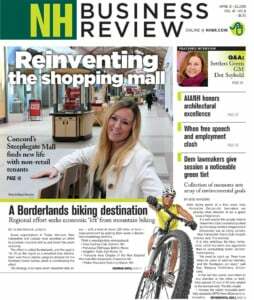 Although there are limited prospects for specialty retailing, the shopping centers on Lakeshore Road in Gilford and at Exit 20 in Tilton and efforts to revive commerce in downtown Laconia preclude expansive retail development at the site. “This is the most positive development in years,” said Mayor Ed Engler, who added that the state was looking at the economic development of the property for the first time. He called the attention of the commission to the land use chapter of the city’s master plan, which was recently approved by the planning board. Unlike past master plans, Engler said that it encourages residential development. He explained that by extending road access and municipal utilities to open land, most of it within a mile of the State School property, the city seeks to provide developers with incentives to build competitively priced housing of different types. Several residents questioned the urgency of developing the property, stressing that it represents a valuable tract of open space underlain by scarce, prime agriculture soils. “Why not have ‘do nothing at this time’ as an option?” asked Lisa Morin of the Belknap County Conservation District. Others questioned whether, in light of the environmental issues, the site could be redeveloped. Attorney Robert Cheney, a member of the commission who steered the redevelopment of Pease Air Force Base through a quagmire of similar issues, said that conversations have been underway with state and federal environmental agencies and some funding has been secured to undertake work this summer. He expressed confidence that the environmental issues would be overcome. “Nothing is going to happen on that piece of property until it is cleaned up,” said Commissioner Rusty McLear of Meredith, president and CEO of Mills Falls at the Lake. The next steps will be for the commission to designate a “preferred concept” and two “alternate concepts” for the site, drawing from alternatives presented by Camoin Associates, then contract for the preparation of a master plan for the site. Tasked with drawing up the master plan is Seattle, Wash.-based NBBJ, a global planning, design and architectural firm with an office in Boston. The master plan will include access to and use of Ahern Park as well as layouts for each of the three concepts. The layouts will identify roadways, utilities, buildings and other major features and provide cost estimates for demolishing, renovating and constructing buildings and infrastructure. The master planning process is scheduled to be complete by Dec. 21. Bald agreed that the redevelopment process would require “patience,” but insisted “the commission is bound and determined to move this forward until there is an end game and has a commitment. I’m convinced the state is not going to walk away from this,” he added.